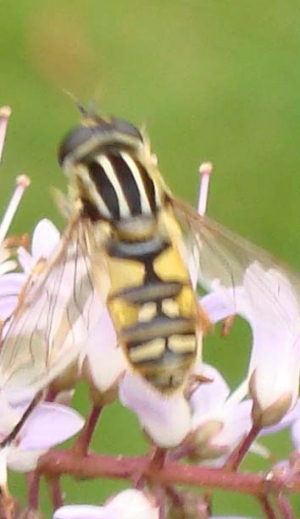 Observation - Hover Fly - UK and Ireland. Description: Yellow & Black fly simialr to wasp but with bold thoracic stripes. Yellow & Black fly simialr to wasp but with bold thoracic stripes.